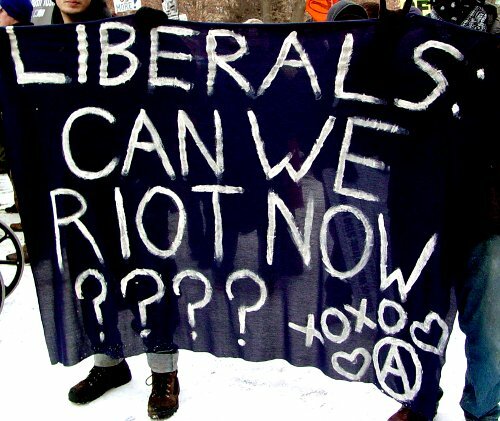 When that movement of ‘mostly peaceful’ protesters at Occupy aren’t busy demanding Syria-like violent protests, or celebrating books written by the Weather Underground, or supporting cop-killers in general, it seems they’re using their spare time to make death threats via the Twitter. Police are investigating an apparent Occupy Wall St. protester’s online threat to kill cops. The tweet was directed to a page on Ustream showing live footage of the protests. The writer was had tweeted several comments about the protests Saturday night. The NYPD is seeking a subpoena to find out who’s behind the Twitter account, according to Paul Browne, the department’s top spokesman. Occupiers had tried to stay in Zuccoti Park on St. Patrick’s Day in an attempt to reclaim the area after their eviction back in November. In addition to the Twitter threat, two police officers and their families received phone threats, and during the melee itself a protester elbowed a cop repeatedly in the face, while another separate activist was charged with assault. Not to mention another individual who was charged with attempted robbery and sexual abuse when he apparently tried to capitalize on the chaos in a way that only an Occupier can. In all, 73 people were arrested. Next post Kevin McGrath: Does the 'D' Stand For Democrat, Drugs, or Deals?